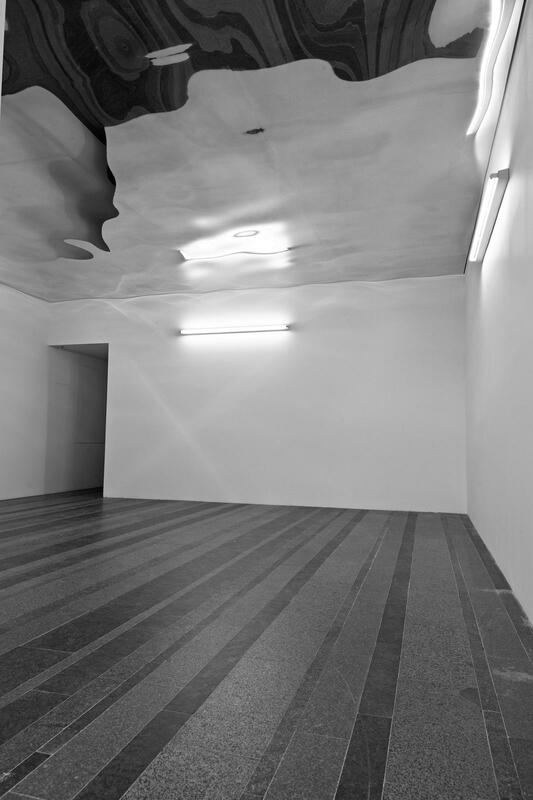 Entering what at first seems to be an empty room, visitors are drawn to look up at the shimmering polished aluminium ceiling above. 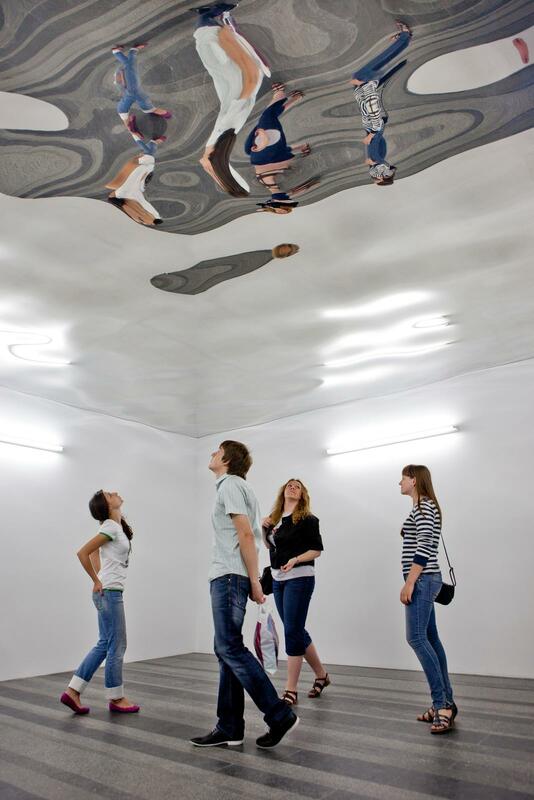 In the undulating mirrored surface, they can make out traces of the space around them and their own distorted reflections slipping across the waves in sync with their steps. Based on studies of rippling water – a long-time interest of Eliasson’s – the work destabilises the viewers’ perception of their surroundings and themselves, and drives them to interact playfully with their reflections, moving through the space in unexpected ways.